I’ve been building ship models out of wood since I was a small child—a hobby I picked-up from my father. In 2002 I decided to build a model of my favorite freighter the Edward L Ryerson (which I had previously drawn many times). In preparation, I gathered a bunch of photos of the ship and used them to create a simple blueprint. The model turned-out quite well, and buoyed by my success, I began to draw up plans for other ships. However, I never built any more as life interviewed. 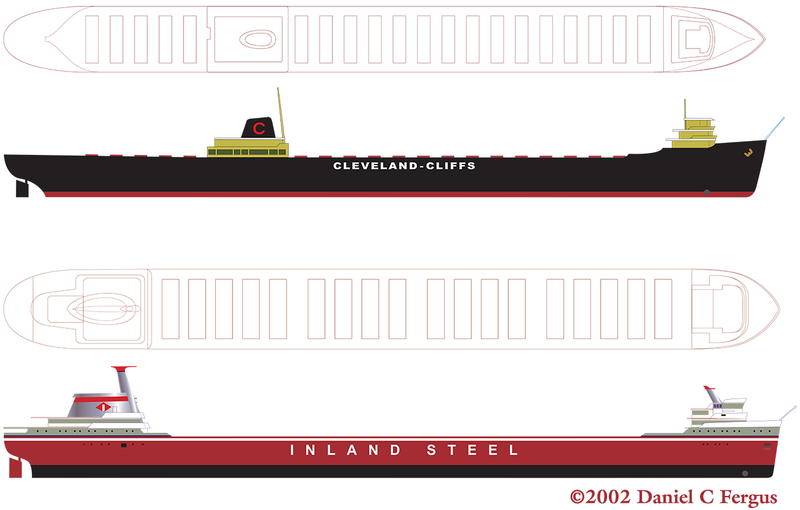 I may get back to them; in the meantime, here are the profiles and deck plans I created for the Ryerson (bottom), and the Cliffs Victory (top).